Discernment is a gift, really it is. All arts have trends which become styles and structure their genre. Personally, I enjoy looking at how the market positioning of the brands impact their designs. 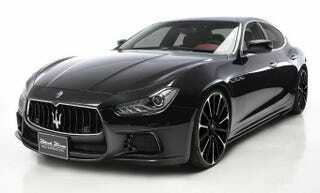 Right now I’m in a Maserati - Infiniti - Mazda phase since they are beginning to diverge again. It also helps you see that Maserati’s design language is not sensual, in fact it’s very sharp and aggressive compared to the shaping going on with Infiniti. Then you look at Mazda and realize just how strong their design language is but it’s so held back by the price points that it can’t thrive. I also think that Lexus isn’t high enough market for their design language. If they were a Lamborghini competitor then the designs wouldn’t be polarizing. That’s why the higher the price point the more I think the Lexus aesthetic will work.